The University of the Third Age (U3A) is a worldwide movement, catering to those in the “Third” or “Golden Age” of life. “University” refers to an older meaning of the word, describing a group of teachers and students gathering together to learn from each other. The Third Age is when people can spend more time trying out new experiences and learning new things. 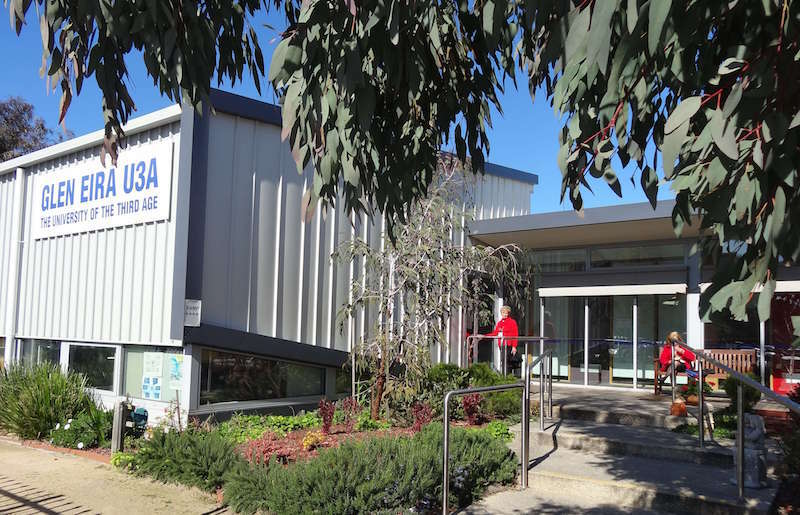 Glen Eira U3A offers a wide range of classes which include the arts and crafts, languages, history, exercises and activities, discussion, games, music. Courses can run for either the entire year, or just one semester, and can be weekly, fortnightly or monthly. Some courses are for a few days or weeks. There is something for everybody and, better still, there are no examinations! Anyone can be a tutor, so if you are passionate about something, why not offer a course? Contact the Course Co-ordinator or fill in the form. Most classes are held at the Glen Huntly campus, but we also use other sites. Details of these are on Site Locations. The main entrance to our building faces the Woolworths’ car park. 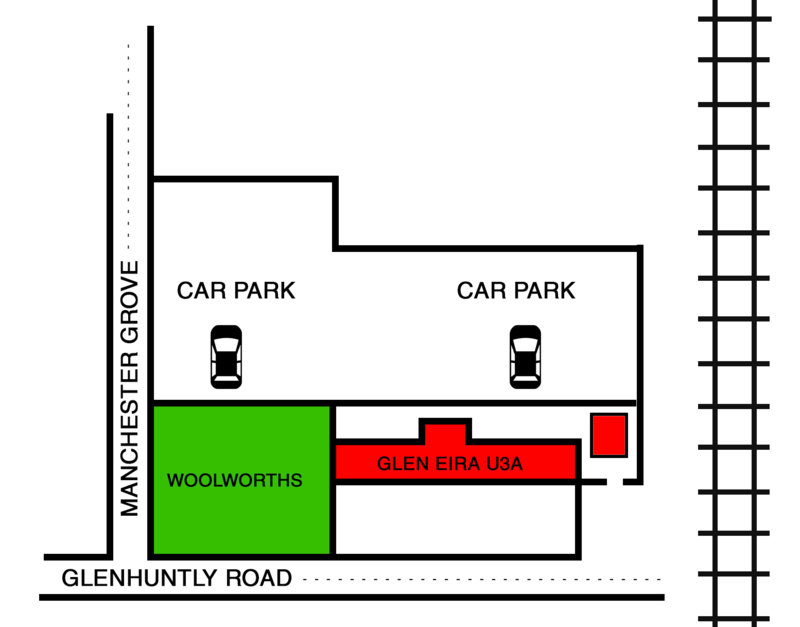 Alternative access is available via the rear gate at the end of the lane off Glenhuntly Road. (see diagram below). *Please note that parking restrictions are in place – there is a 2 hour limit.